[THREE CENTS] But Does It Hold Up? Back in college, I started compiling a list of my favorite movies. 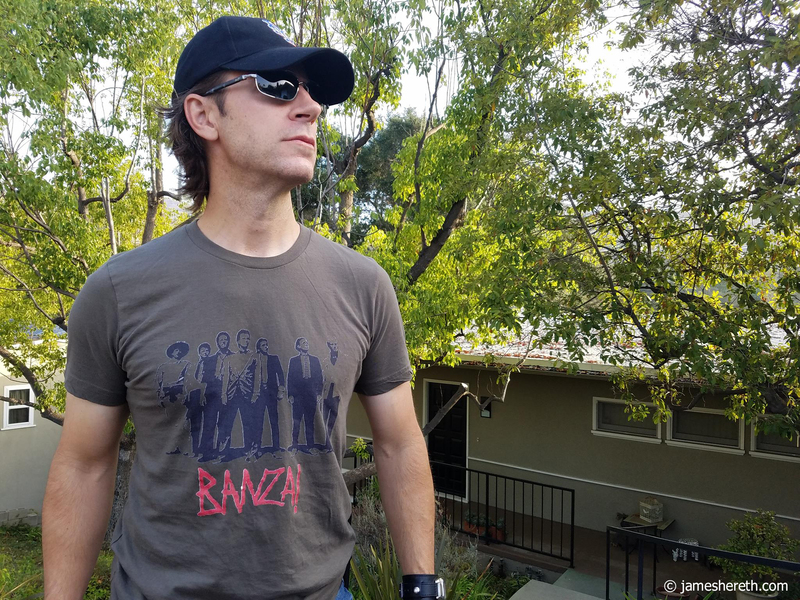 I was in film school, so watching, studying, and (over) analyzing movies was a considerably large part of my life. I’ve been much less active in filling out that list during recent years, but it’s still there in a file on my computer, clicked periodically to life. All of this is leading up to ponder the question of “favorites” and their potentially limited lifespan. If you’re putting together a list of favorite movies as you go through life, how are you going to feel later on about some of those entries you added twenty years earlier? Will they still be worthy of that list to the present-day you? A special kind of weird. 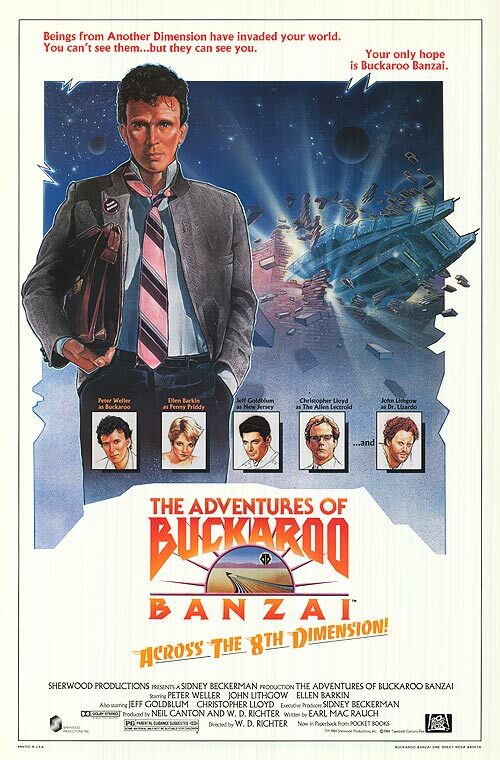 During high school, my friends and I discovered The Adventures of Buckaroo Banzai: Across the 8th Dimension and treasured it. It was cool, quirky, funny, and eminently quotable. To the point, my senior quote in the high school yearbook was “Wherever you go, there you are” from Buckaroo himself (true, the wording might have been slightly off, but the intention was dead on). So it was devastating to hear my friend Mike Rovner (fellow Blue Blaze Irregular back in the day) mention that he saw it recently and it wasn’t easy to get through. What? No. How dare you! To find out for sure, I’d have to see it again myself. But, of course, I couldn’t do that. The notion had now become terrifying. I mean, I might not agree with Mike, but what if I did? Would I have to take it off the list then? Or would it still qualify from the initial viewing? If you look at something that you used to love and discover it’s actually bad, then it’s bad, right? Like those bell bottoms, or acid-washed denim, or that mullet. They just don’t work anymore (I’m joking about the mullet, of course. Spectacular then. Spectacular always). Maybe that’s true sometimes. Maybe it’s true a lot. You have a different perspective at 40 than you did at 20. Certainly at 10. Movie-making styles, technology, VFX, all change or improve. Things can get dated. 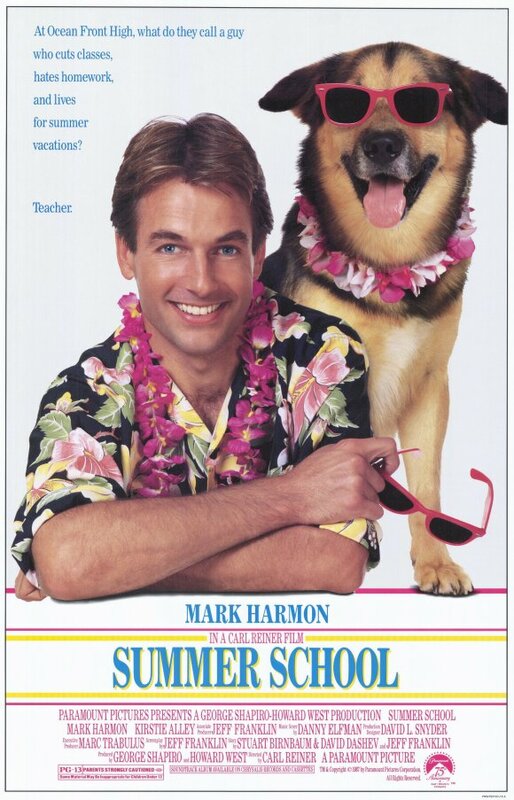 I don’t want to live in a world where this isn’t as awesome as I remember. Stories that were once unique and special are eventually done over and over. At some point you’ve “seen it all” and surprises are taken out of the equation. It can’t possibly all hold up. And when it doesn’t, it has to come off the list, right? Ultimately, I say if you loved it when you saw it for the very first time, it stays where it is. You can add some sort of qualifiers later if you have to. Maybe. But that feeling, that initial impression, counts. And doesn’t ever stop counting. That magic, when you were transported to another place to live though a story that impacted you somehow – even if it was just to laugh for two hours straight – that means more than anything. That lives on and can never be taken away. This entry was posted in Biographical, THREE CENTS and tagged Buckaroo Banzai, Favorite Movie List, Summer School. Bookmark the permalink. 2 Responses to [THREE CENTS] But Does It Hold Up? A) Rovner’s wrong. The movie holds up just fine if we account for special effects getting better over time and the somewhat intentionally cheesy aspects of it. B) You are allowed to change your opinions about films. When I rewatched Animal House recently I realized I only remembered the good bits. Much of the movie was terrible (as MAD magazine pointed out at the time). Airplane holds up just fine, even though some of the jokes don’t. C) Never trust the judgement of teenagers (NB: trust teenage girls on pop music. They are almost always right. A) I want to believe you. B) Agree that you’re allowed to change your opinions about films. What I don’t think changes, though, is that first impression. And if that first impression was love, well… I can see it staying on a favorites list, regardless of a later, negative re-evaluation. C) I trust the judgement of almost no one. Though if I need any info on pop music, I will seek out a friend’s daughter to consult.